2-port Elite design accommodates two modular connectors and two color icons. 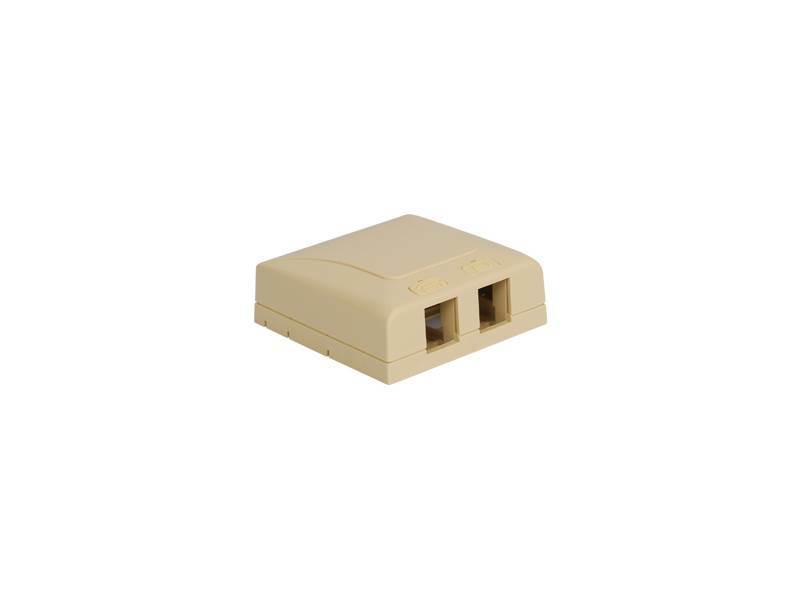 Provides a clean modular surface mount outlet solution of voice, data, and other communication needs to the work area for commercial or residential applications. Multiple mounting options including adhesive backing, screws, and magnets. Rugged and durable construction. Easy system administration with use of enclosed icons. Raceway knockouts integrate with raceway systems. Accomodates a wide variety of easy to snap-in modules, providing configuration flexibility.